In the past three years I have traveled more than ever before in my adult life. From North Carolina to New York and Chicago to Austin, my travel miles have been growing and I don’t see it slowing down any time soon. Of course, I still struggle with how to pack in a such a way that I’m not bringing the kitchen sink with me. I always feel like if I don’t have a few outfit choices or an extra pair of shoes, then I’m going to wish I did have them. And, I hate spending extra money on things I already have at home. I started working on a bag that has some must-have items, and each conference I choose one color to wear (Little Lamb Books purple, of course), which makes packing a bit easier. Some things I pack are a given, including my phone, tablet, and ear buds. Some things I constantly have to remind myself to bring. I thought I’d share my list with you, in case you’re looking for some packing inspiration as for your next conference. Sweater or Sweatshirt – I get cold. All. The. Time. And, I hate being cold. Even when it’s 100º outside, I can be freezing in my hotel room or the conference rooms, so I always pack a sweater and a sweatshirt to throw on. Scarf – Most of the time, I wear my hair up when I travel because my thick, naturally curly hair likes to expand and frizz if I leave it down. This means that my neck is generally as cold as my hands. I have a few larger pashmina-style scarves that I bring with me to use as a blanket on the plane and as a neck-warmer walking from the hotel to a restaurant or another meeting place. Refillable Water Bottle – I bring my Little Lamb Books travel mug so that I can refill it with water during my event. I’ve even been known to visit the local concessions stand to ask for ice for my Pepsi. A girl has to do what a girl has to do, ya know?! Hand Sanitizer – I don’t know that I would call myself a germaphobe, but as many hands as I shake, it’s always good to have sanitizer because a bathroom is not always accessible and being germ free means staying healthy when I get home. Business Cards – I pass these out to authors, fellow publishers, illustrators, conference leaders, and more. Snacks/Candy – I’m not much of a breakfast early in the morning person, and I don’t always attend conferences that offer mid-day snacks, so I’ve learned to bring my own morning granola bar and some basic pre-packaged snacks to nosh on in between sessions, classes, and pitches. My favorites are Animal Crackers and Goldfish as well as Smarties and Peanut M&Ms. Every now and then I bring Twizzlers and peanut butter crackers. I also bring peppermints, not just for fresh breath, but for my temperamental belly that doesn’t always like the bouncing of airplanes or spicy food. Charger/Extra Battery Pack – This was included on a learning curve. I’ve been known to not only forget one or both of these at home, but also to leave them behind in hotel rooms much to my husband’s dismay. So, I have quite a few options to choose from and try to always be sure I have one in my personal bag and one in my luggage. Ziplock Baggies – I generally bring a few different sizes packed in the front pocket of my suitcase. Having these helps all kinds of things from sorting conference materials to bringing home dirty clothes to keeping open candy or snack packages from going stale. Notebook/Legal Pad – Lots of note taking, idea brainstorming, and such happening, and I have to write it all down or I will forget thanks to Mommy-brain (Yes, it’s a thing. Yes, my kiddo is 7 and I still have it. Sssshhh!). Favorite Pens – While I always bring my Little Lamb Books black ink pens, I really love Paper Mate felt tip pens and having a rainbow of colors to take notes in is the best. No, I’m not paid to say this. Yes, Paper Mate you are welcome to send me a lifetime supply! Small Flashlight – I hate being in the dark. I also hate that I can’t always see in the deep recesses of my purse. Having a flashlight with me is a comfort, and anything that gives me confidence on a trip, small or big, isa good, good thing. Travel Oil Diffuser – I started using essential oils about a year ago after purchasing a kit that sat in my bathroom for over a year. Once I finally opened it and researched the oils inside, I began using it regularly and have really noticed it helping our family. So, I found a travel diffuser online that has a built-in light and now I don’t travel anywhere without it. Blending oils in my hotel room eases the migraines I sometimes get and helps when my sinuses get all out of whack from traveling. Slippers – This should be easy to figure out, but if it isn’t, let me know what you think after you’ve walked across hotel floors without them. Bleh! Kleenex – Hotel rooms never have enough and when you’re sitting at a pitch table, having a pack handy for authors and myself is always greeted with appreciation. Right? Right. So, that’s it for this list. Most of these I consider to be essential to me having a good trip along with comfy business casual clothes, my pair of purple Chucks, and a good purse or backpack. 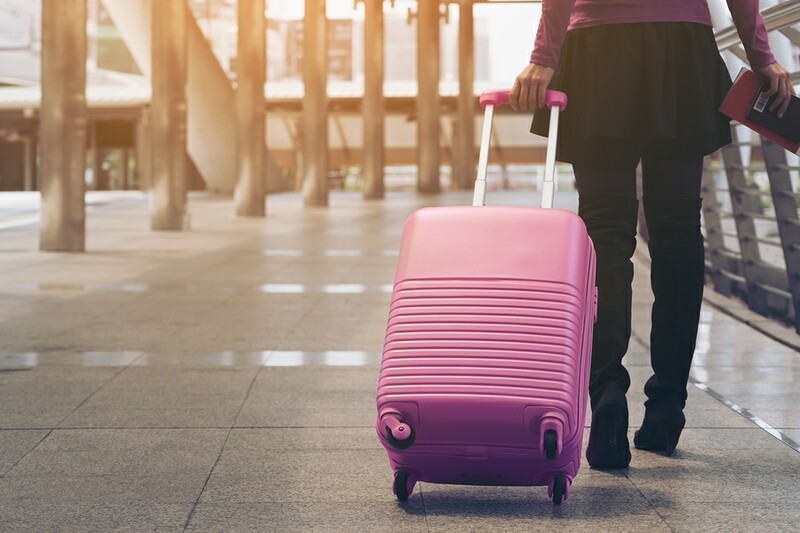 Hopefully, this helps you with your own packing, but I would love to hear what you consider to be essential to your travels for conference in the comments on Facebook or Twitter. You never know what you might add something to my list that I can’t travel without!